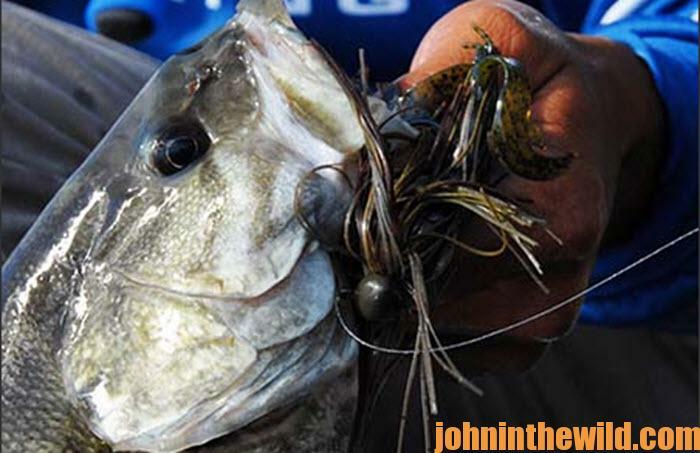 John’s Note: Successful bass fishing basically involves problem-solving and decision-making. 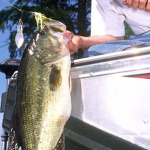 You must make decisions concerning where to fish, how to fish, what lures to fish with, what time of day to fish and where to catch the biggest fish. 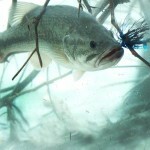 Let’s look at some bass-fishing situations to see how to handle them. We’ll base the scoring system on 5 points for the best answer, 3 points for the second-best answer and 1 point for an answer that can work but probably won’t. 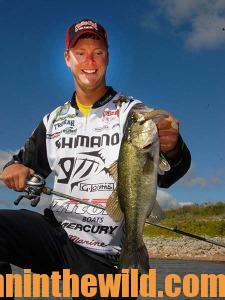 These answers are based on hundreds of interviews I’ve had with professional bass fishermen over the last 40 years. 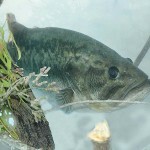 1) When you go to a new lake and don’t know where to fish, where’s the best place to start to fish for bass at any time of the year? Creek channels are bass highways too. 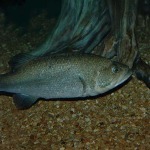 But during very hot or cold weather and the pre-spawn and post-spawn times of the year, finding the exact spot along an underwater creek channel where bass hold may be difficult. Give yourself 3 points, if you’ve chosen this answer. 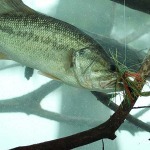 Although boathouses at certain times of the year will produce bass, the water and the weather conditions must be ideal for that time of year and that particular lake for you to catch bass at boathouses. You get 1 point for this answer. c) a topo map of the lake. Flying over the lake enables you to spot much of the shallow-water cover and many of the points and breaklines that you can’t see from surveying the lake in a boat. This second-best choice rates 3 points. 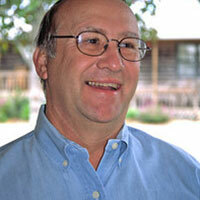 Talking to guides may help you. But you’ll find most guides reluctant to tell a newcomer about their best fishing holes. They may tell you of a few places where everybody fishes. However, probably you’ll find and catch the most bass using a topo map and relying on your own judgment and knowledge of the habits of the bass or by hiring a guide. You get 1 point if you’ve chosen B. 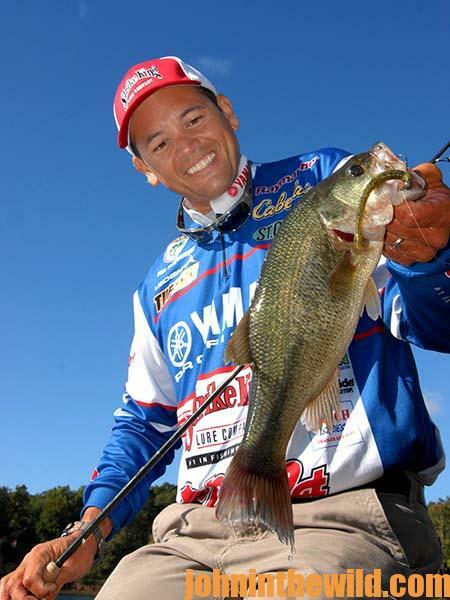 1) (C) is the best choice because on most lakes across the nation, you’ll find bass on points throughout the year, either on the shallow side or the deep side of the point. Choosing C gives your 5 points on the scoring system. 2) (C) is the correct answer. By using a topo map of the lake, you can spot where creeks come into the lake and pinpoint the shallow-water and deep-water breaklines, the points, the shallow bays and most of the structure in the lake. Depending on the time of the year and the bass-migration pattern, you often can use a topo map to locate some of the most-productive waters in the lake to fish. You get 5 points for this answer. 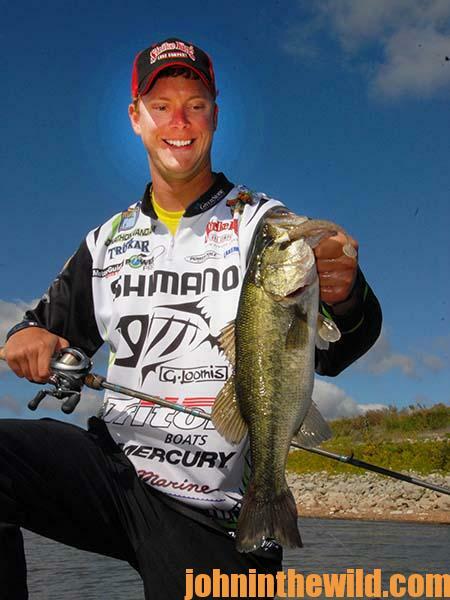 To learn more about bass fishing, get John E. Phillips’ Kindle eBooks and some print books, “How to Bass Fish Like a Pro,” “How to Win a Bass Tournament,” “Catch the Most and Biggest Bass in Any Lake: 18 Pro Fishermen’s Best Tactics, “Hot Weather Bass Tactics” and “How to Become A Tournament Bass Fisherman”. Click here to get those books.